Name Memorial Museum "Octavian Goga"
Collection(s) The ensemble consists of the following buildings owned by Cluj County Council: main building named "The Castle", "White House" building, House Ady Endre, Annex A and B bodies, "Monastery", "Wooden Church", "Mausoleum", "House on the Rock", "Summer Theatre". 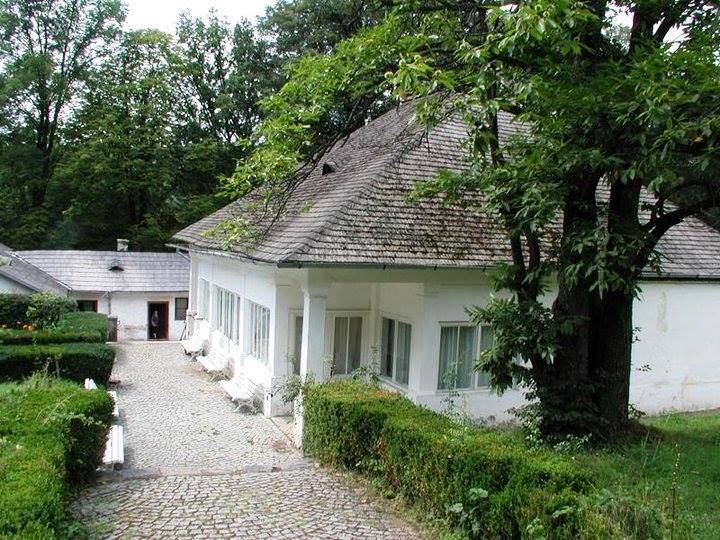 In the buildings "Castle", "White House", "House Ady Endre", "Mausoleum", "Summer Theatre" and Annexes A and B. 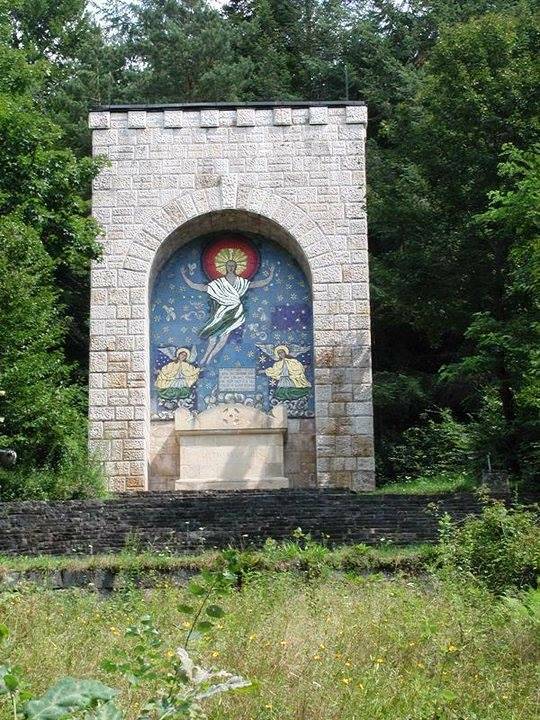 The Memorial Museum "Octavian Goga" has exhibition spaces, sightseeing, heritage warehouses and offices. 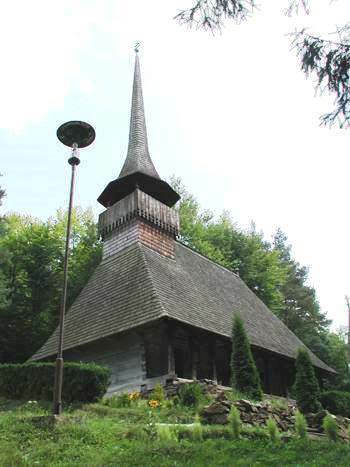 Buildings "Monastery", "Wooden Church" and "House on the Rock" with adjoining land were given for free use to the Archdiocese of Vad, Feleac and Cluj and use as Monastery "Virgin Birth". Octavian Goga Memorial Museum operates in 5 of the 9 buildings in its administration and holds a mobile heritage that includes 14,310 pieces. The main permanent exhibition is organized on the ground floor and the first floor of the Castle with the structure and characteristics of a memorial museum dedicated to the poet Octavian Goga. 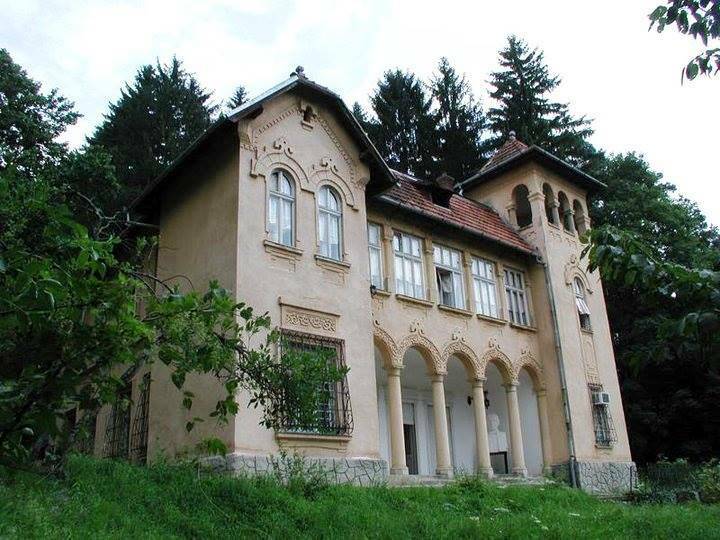 The Ady Endre House is a permanent exhibition dedicated to the poet Endre Ady and also a storage furniture. In the White House is a permanent ethnographic exhibition and a hall for activities. 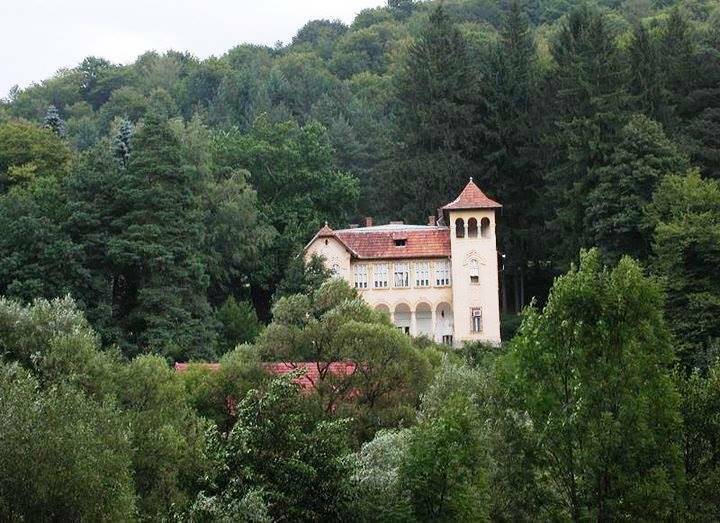 The Castle: On the old mansion bought by Octavian Goga from Berta Boncza, widow of the poet Endre Ady - a building with one level and modest size with the facade openings with gothic arches and an embattled tower in the old tradition of Gothic provincial architecture of the Austro-Hungarian Empire - between 1921 and 1926 Octavian Goga builds a new building, retaining wall and foundation of the old part, extending its surface and by adding another level, with large windows and semi-circular arches on the ground floor, with the right heightened profile of a tower - reminiscent of Italian campanile. The building had a reception hall board by five semi-circular openings imagining an outdoor loggia, dining room and several domestic destinations and upstairs - the music room, library, office work of the poet, on one side, and on the other bedrooms and the bathroom. 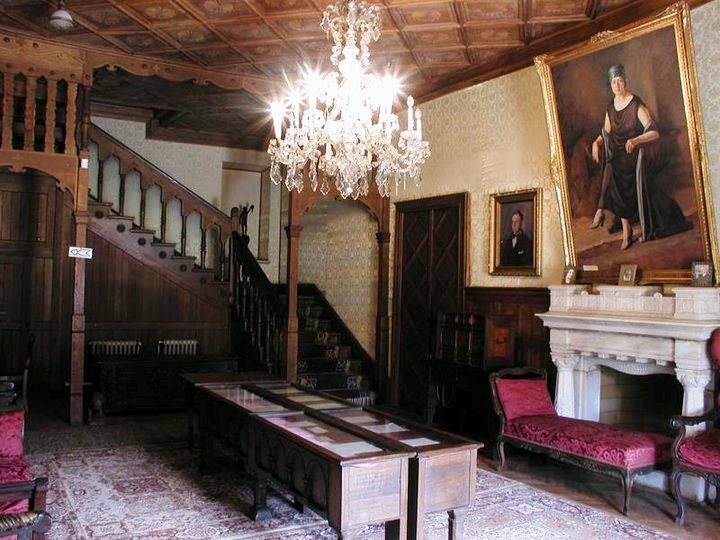 The first of the two rooms of the museum is the library comprising about 6,000 books, as well as a Moor cedar wood chestboard (the 16th century), a desk, a sofa, and a few chairs. 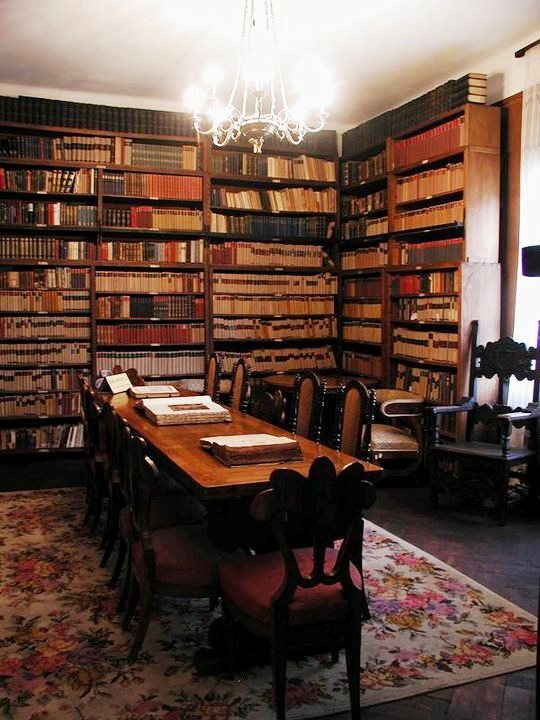 From the library one enters the study, where there are on display a few family photographs, sketchings by Nicolae Grigorescu, Brancovan candelas (the 17th - 18th centuries), belts (girdles) with incrusted gems, originating in India, Syria, Turkey, a faience desk, originating in Persia (the 16th century), a Byzantine icon from the 11th century. All over the museum there are precious works of art: bronze artefacts from Pompeii, French Gobelin tapestry from the 16th century, paintings by Theodor Pallady and Nicolae Dărăscu, a chestboard that belonged to Avram Iancu. 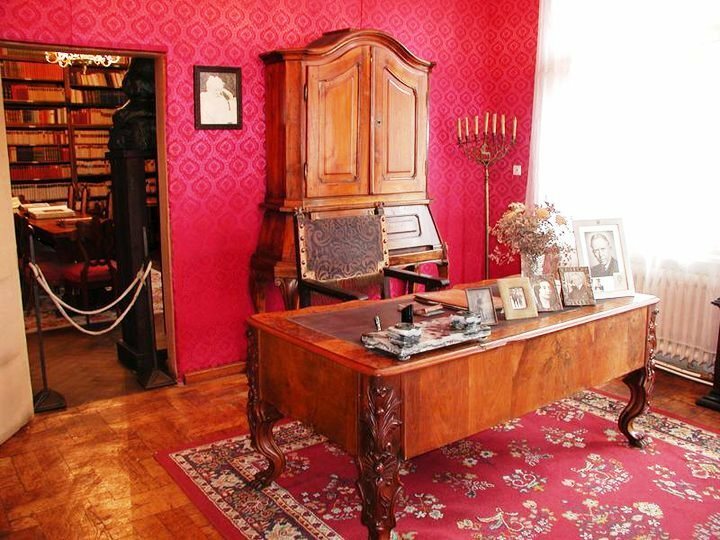 The exhibits also include letters and manuscripts of the poet, publisher and politician Octavian Goga (1881 - 1938). 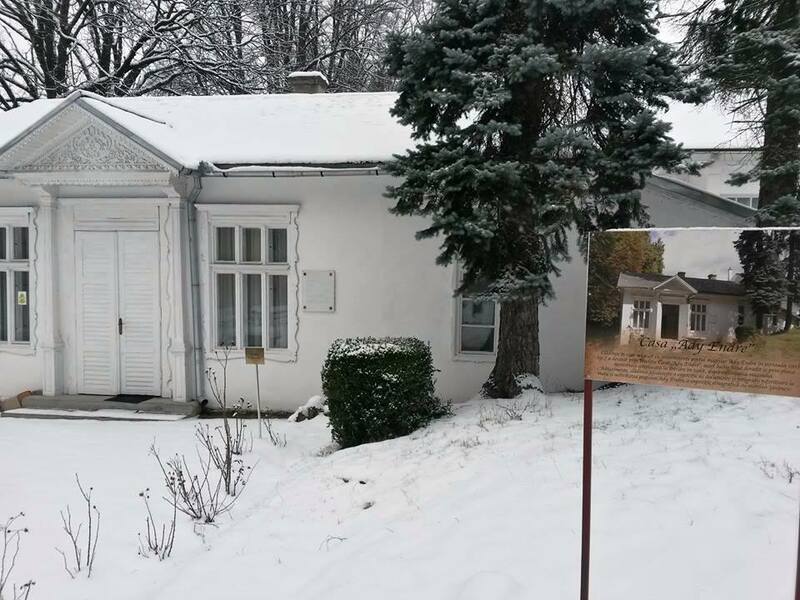 In the memory of the Hungarian poet Ady Endre, Goga’s friend, at Ciucea the building where the poet lived for four months was turned into a museum.